accelerate growth and create a profitable and sustainable business. 1. What is current process for initiating and managing a subcontract? Costs, Labor, Transportation) and how can costs be reduced to become more competitive? 3. What are the payment terms to your suppliers? Can they be extended without impact? this key element be monitored, managed, and controlled to ensure sustainable compliance? 5. How long are the cycle times for production and how can they be reduced? 6. What is your risk assessment plan? 7. What is your risk mitigation strategy? are they audited to ensure compliance to current and emerging regulations? 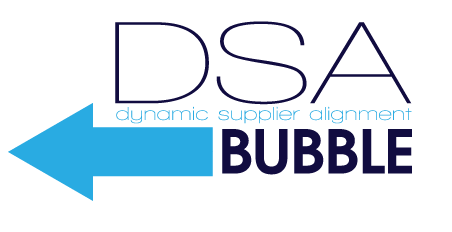 DSA, Inc. can provide your early stage product or service with the infrastructure it needs to realize its full market potential. 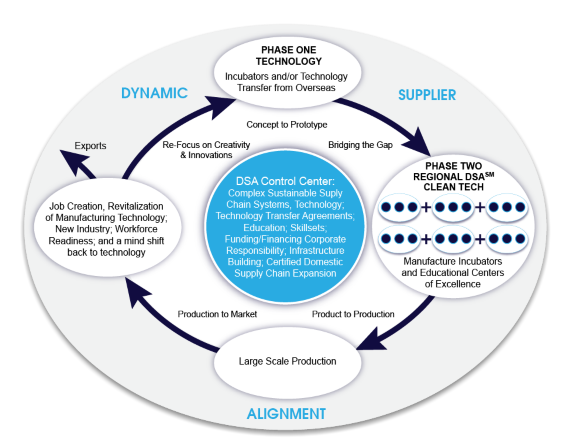 The DSA℠ Business Development Ecosystem Model was created to foster public, private collaboration designed to accelerate the commercialization of products and services and build regional supply chain network aligned to supply the emerging foreign and domestic market demands for clean and sustainability technology and processes. DSA, Inc. offers the following services to create customize business development and growth strategies leveraging your product or services’ strengths and successes to accelerate growth and create a profitable and sustainable business.